Ford News Forum Forum for discussions regarding Ford news. The 2020 Ford Explorer has a new feature to help you simplify your life. Call it digital detox, call it mindfulness, the new Ford will help you focus. As your world gets busier and busier and you receive more and more information through the constant barrage of messages, Ford is planning a way to help you slow down the digital onslaught. 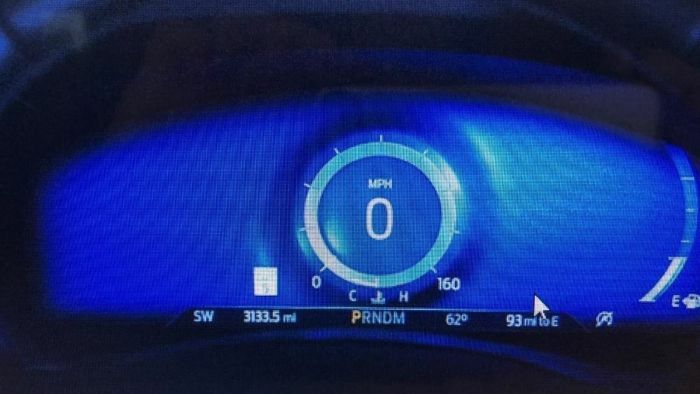 The 2020 Ford Explorer will allow you to set your dashboard to a screen that tells you only what speed you are traveling, so you can focus on your mindfulness. Mindfulness and digital detox are big buzzwords right now as people are seeking refuge from information overload. Especially while driving, you can be inundated with information from your phone, your radio or your passengers. Ford will give you the option of setting your dashboard to be as simple or as complicated as you wish.